Fall means it’s squash season! 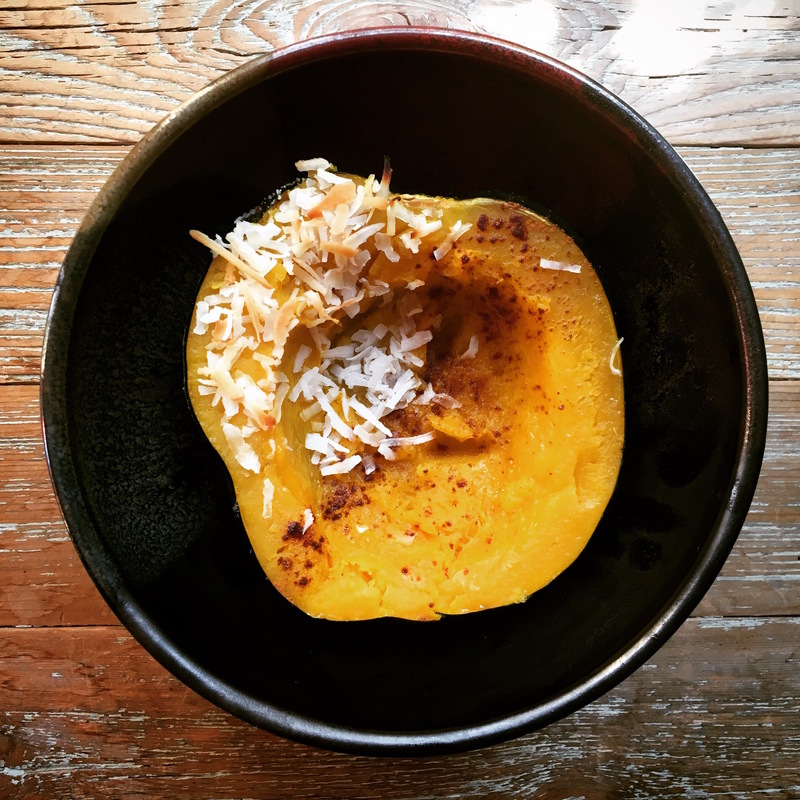 My roasted acorn squash is a simple, healthy way to dive into seasonal cooking. With no added sweeteners, this is a Whole30 compliant food. Cut your acorn squash in half and scoop out the guts and discard. Put a little bit of water on the bottom of a baking sheet and place acorn squash face down. Roast in the oven for 40-50 minutes or until soft. Drain the water and flip the roasted acorn squash over the face up. Rub 1/2 a Tablespoon of coconut oil into each half, sprinkle with cinnamon, salt and coconut flakes. Place back in the over for 5 minutes or until the coconut starts to look toasty.